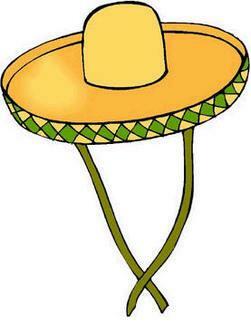 Any time you give Ryan Howard extra innings, you give me the opportunity to hand out a Golden Sombrero. While Howard is having a disappointing season, for me, at the dish with only 123 strikeouts (good for 10th), he did miss some time on the DL and should be able to rebound to finish in the top 5 in strikeouts in the NL. 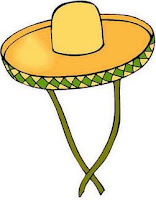 But if Howard gets and extra inning or two, he's almost a lock for the big Mexican hat. And that's exactly what the Padres gave him yesterday, resulting in a 1-5, 4 strikeout appearance. 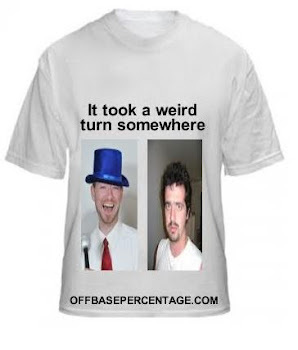 At the end of the season, we'll crown our first Off Base Golden Sombrero champion and I have faith that Howard will be in the mix with Mark Reynolds and Jason Heyward. Reynolds is the leader in the clubhouse with 4 and has the uncanny ability to put 2 up a week down the stretch. He wants it more. Top 1st: Howard struck out looking against Mat Latos. Latos appears to be a stud in the making but Howard didn't even take the bat off of his shoulder for the 3 pitches. Top 3rd: Howard struck out looking against Latos again. He watched one ball just for good measure. Top 6th: Howard struck out swinging against Latos. Top 12th: Howard struck out looking against somebody named Ernesto Frieri.